We have recently done a couple trips in the boat on the occasional nice evening only for a few hours as the nights are already closing in and you have to take every opportunity possible when you are controlled by the weather. Following on from recent trips in the boat we have really been enjoying our surface fishing and targeted some of the close in reefs just a couple hundred yards offshore. The first session saw us clearly just catch the tail end of a feeding frenzy. There was a lot of gulls scattered across the water. Most where just sitting but the odd small common gull or black headed gull would still be diving in on occasion. We started drifting the area and instantly where getting amongst the action. Fish boiled and slashed at our lures but they where playing hard to get. Tim had the most success on his sammy 100 taking 5 fish to my one on the ProQ 120. I hooked into a couple more but they came off rather quickly. Tim had one fish on for a while before the hook pulled. A better fish he turns and looks at me in disbelief at another fish dropped. As he’s doing this another bass has come up and nailed his lure. The rod bends around in his hand, he can’t believe it… I’m just giggling away trying to position myself to get in the zone(not easy in a tiny boat). This was once again a better fish probably around the 5lb mark and we see it clearly as it nailed the lure right next to the boat. Line starts going and then it’s gone… I’m laughing, he’s not… We missed so many fish this night and two of the takes we had came when we weren’t looking and the lure was stationary. I didn’t even hear mine and the rod slowly pulled away in my hand like someone trying to secretly steal something out of someones pocket only to almost instantly come back to the surface before I knew what was going on. Tim was gutted and lost a really nice fish probably up in the 70 bracket. He stopped to talk to me as he heard the slurp of a bass sucking in his lure. He felt a little pluck on the lure and turned to see the back and tail of a good fish disappear into the depths. I even had time to turn and catch the fish as well and it’s clearly visible on camera though hard to make the fish out. For some reason they where being very finicky and not properly committing to biting hard. Full fish? stuffed and not bothered to chase the last one for an extra bite? Was our lures not reassembling the baitfish that they where feeding on? Was it that obvious, that fishy for them to not properly commit. Tim certainly had more success with a smaller lure that’s for sure. The other session saw us just miss a few really good size fish on the reef. I had one boil at my skimmer, I stopped the lure paused and gave it a couple little twitches. The fish must have been sat beneath and then breached turning at the lure with it’s back and tail out the water but it wasn’t enough to convince him to properly take it. The action was really slow compared to the last session and as we approached the slipway on the way back in the water was black with baitfish. We watched from the slipway as mackeral smashed into them. The baitfish where in a different place to where we were fishing and where the bass close by? Waiting for the darkness to settle in? Waiting to pick up the pieces or had they already had there fill? 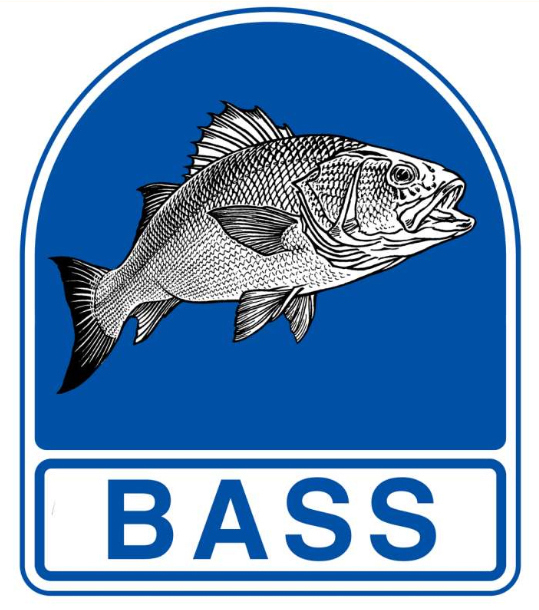 One thing for sure the baitfish are in properly now and we’ll be looking for birds when we can get out in the boat. Following on from all the surface action from the boat it’s where i’ve recently focused my attention from the shore. One evening saw me miss a big fish on the sammy 115 in ghost half beak. A lure that certainly seems to get them going even if it is bigger than the 100 it seems to get plenty of attention. Blair and Tim had a couple small fish and we stayed into the night but only managed 7 more fish to 52cm between us with Blair taking the two biggest. I’ve done a few trips locally recently and also seem some good fish hitting the sammy 115 but no solid hook ups and I’ve dropped a couple fish. I went smaller out of interest and managed a small schoolie on the Proq90 ACC. 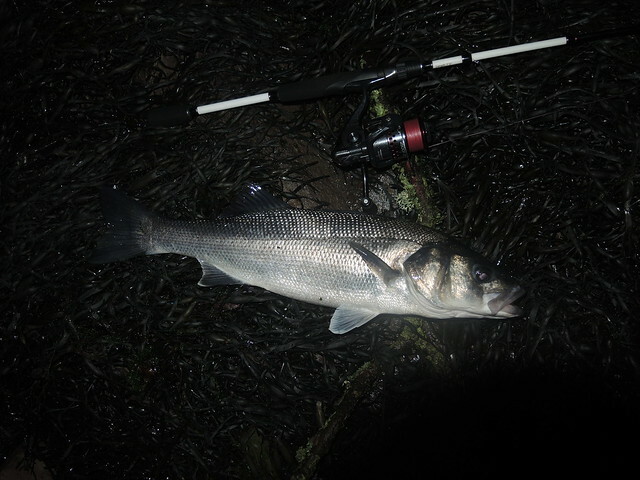 I fished a good tide into the night but only managed one fish on the edge of darkness at 50cm on the SGS taken at range. I fished on confident I would find more but no takers. The day sessions on the surface seem to be seeing more interest from bigger fish than at night though I have only done a few limited sessions. I’ve been rather slack on the photo’s front and haven’t bothered to get the camera out for fish around the 3lb mark. I don’t take my DSLR out on the boat and photo’s on there aren’t very interesting but i’ll try and get some on the gopro when I’m filming. The end of July saw me take my best fish from the shore on home turf this year. 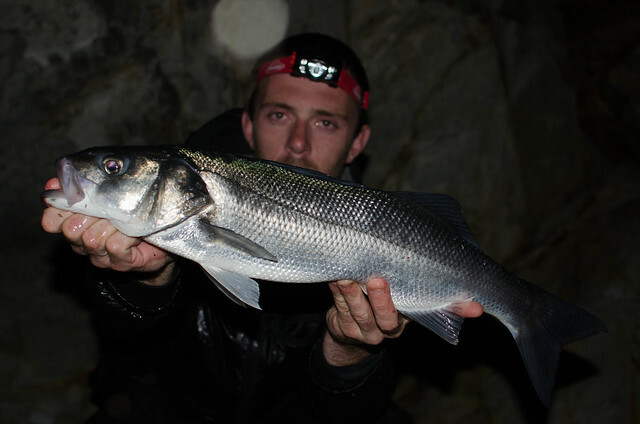 This 59cm fish fell to the Redgill evo a solid favourite for night work. I think the lack of fish this year is only down to the amount of time I have put in. I’ve only done about a third of the amount of sessions as normal and haven’t been able to put the time into tracking the fish down. I’m planning on hitting a bit harder from now on to get some good fish under my belt before the years out and another dull winter settles in. 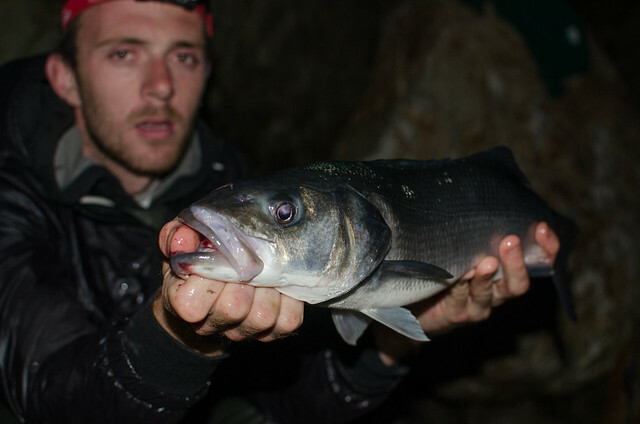 One evening I asked Tim if he fancied a local LRF session to see what we could pull out. The action was slow but we mainly targeted bass. Tim was taking a few schoolies on a 3 inch Sluggo, we moved marks as the night drew in. I switched from a 3inch swim senko to the Fiiish BM 90 with a 5gm head just on the casting limit of my rod and first cast got a solid thump. I small tussle ensued with a few good runs but I played the fish slowly and didn’t rush. A nice 4lb bass was the result and my biggest fish to date on the LRF rod. I missed another good fish on the Swim senko just swinging it in the current. The fish lept out of the water like a tarpon and the small weedless didn’t hold. 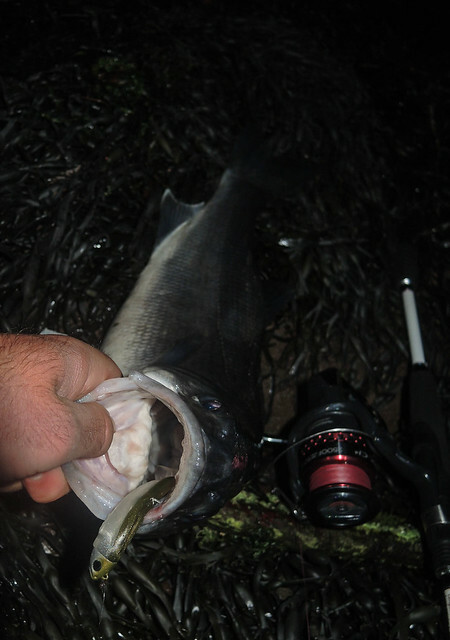 Tim took a few more fish on the 3inch Reins Rockvibe in black that used to be my go to lure with the LRF rod. The highlight of the night was having an otter right at our feet. The first swirl we thought it was a double but after the second swirl we where confused and I could just make out an animal starring right at Tim under his feet. We turned our headtorches on at the same time and it made another big splash and shot off. I was unsure as to what we had just encountered, it was far to small to even be a small seal and as I was looking around I caught the glowing eyes of the beast about 20 yards away from us down the bank. The animal just starred back at us for 20secs. It’s eyes where so close together it could have only been an otter. My second encounter with one this year and awesome to get this close to a wild one. This entry was posted in The Fishing and tagged Bass, Lucky Craft, ProQ, Sammy, Seaspin, SIB, Surface fishing. Bookmark the permalink. ← How important is distance?